Dvorak: Valse op 54, No 1 Sinfonia Toronto / Nurhan Arman, Conductor Recorded live on December 10, 2016 CBC Glenn Gould Studio, Toronto. 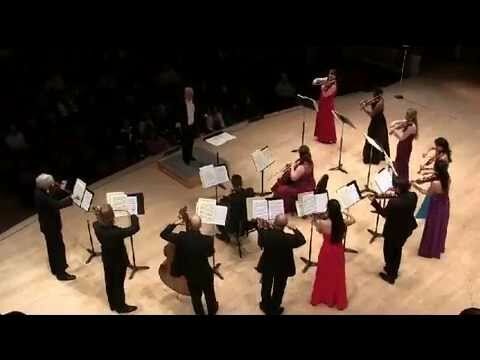 Tchaikovsky: Valse from Serenade for Strings Sinfonia Toronto / Nurhan Arman, Conductor Recorded live on October 21, 2016 at the Toronto Centre for the Arts. VIVALDI The Four Seasons and SHOSTAKOVICH! March 5 Sinfonia Toronto Music Director Nurhan Arman and violinist Alex Toskov introduce orchestra's March 5, 2016 concert in Toronto Centre for the Arts. 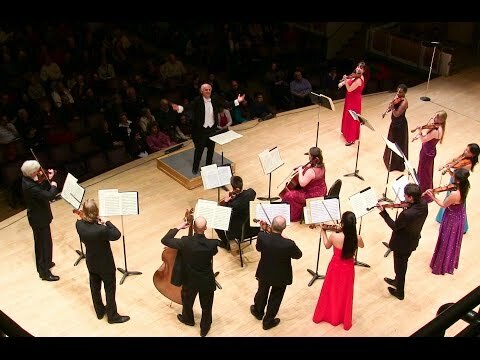 Wolfgang Amadeus Mozart: Salzburg Symphony K 138 F Major movement 1: Allegro Sinfonia Toronto / Nurhan Arman, Conductor Recorded on February 28, 2015 in Toronto Centre for the Arts. Wolfgang Amadeus Mozart: Salzburg Symphony K 138 F Major movement 3: Presto Sinfonia Toronto / Nurhan Arman, Conductor Recorded on February 28, 2015 in Toronto Centre for the Arts.